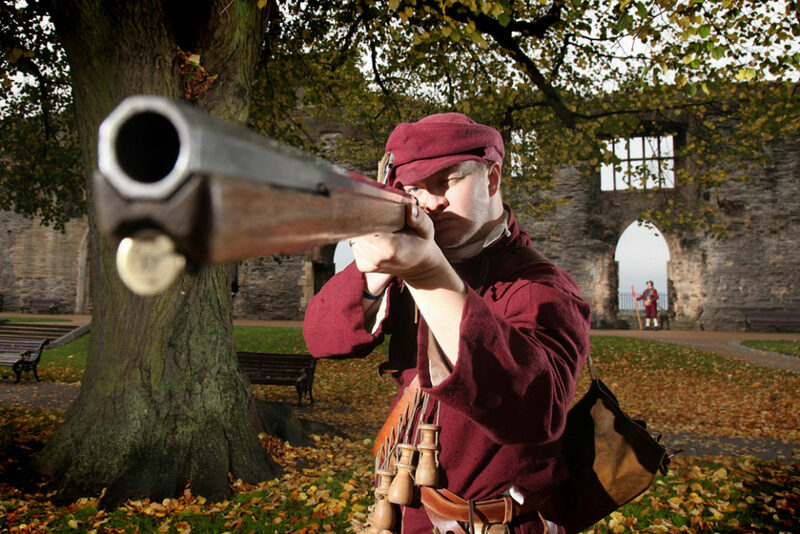 Swashbuckling Royalists and hard-headed Roundheads will be making an historic return to the heart of Newark with the advent of an exciting new £5.4m National Civil War Centre delivered by Woodhead Heritage. Work has started on a year-long project to develop an exciting new venue within the Grade II* listed Old Magnus Buildings in the town’s Appletongate where the centrepiece theme will be the deadly struggles for power in 17th century Britain. The sieges, skulduggery and violence – in virtual reality at least – along with political intrigue and religious rivalry of the British Civil Wars will be showcased in a modern 21st century setting that is expected to attract 60,000 visitors a year. The struggle to control Newark – a staunchly Royalist town – was one of the defining events of the Civil War. It was here that King Charles I surrendered to the Scots Army which was allied to the Roundheads. The centre will be the first of its kind anywhere in the UK dedicated to telling the story of these turbulent times. But it won’t be all muskets and pikes as the social history of Newark and Sherwood will also feature strongly, telling the history of the District’s towns and villages from ancient to modern times through the hundreds of artefacts on display. Among the magnificent historical gems to go on display are an Iron Age Newark Torc or necklace, an exquisite Anglo-Saxon gold cross, paintings from Newark-born artist Sir William Nicholson and the Byron Press, used to print a number of the early works of the Victorian poet Lord Byron. The £5.4 million project includes a £3.5 million grant from the Heritage Lottery Fund and support from Nottinghamshire County Council. Newark and Sherwood District Council has contracted local construction company Woodhead Heritage to carry out the work, which will involve conserving the building’s historic features, including schoolboy graffiti from the 1600s, and installing modern new galleries, lift, toilets, reception and gift shop. Archaeologists from Pre-Construct Archaeology are currently on site undertaking excavations before the foundations are laid for the new building. The centre will bring significant economic and cultural gains to Newark, one of England’s undiscovered gems. It will also link the Queen’s Sconce – the nation’s best preserved Civil War earthwork to Newark Castle and the District’s wider heritage, provide community and meeting rooms and an exciting learning space in the old gymnasium.